Back Thru The Future Computer Recycling, Inc. located in Northern NJ was founded by Melanie J. Haga in 1990 in Morristown, NJ as an environmentally oriented computer recycling business. Back Thru The Future is certified as both a “Woman’s Owned Business” and SBA qualified Small Business. We currently support over 1000 clients primarily located in the Northeast United States. In 2002 the State of NJ classified all to-be disposed of electronics as a form of hazardous waste under the Federal EPA’s Universal Waste Rule. The Federal EPA Universal Waste regulations require that anyone processing, recycling or disposing of a Universal Waste be a registered Universal Waste “destination” facility. We were one of the first computer recycling companies in the US to become a Federal EPA registered and NJ State DEP licensed Universal Waste consumer electronics destination facility. In NJ this license is called a Class D Universal Waste Consumer Electronics processing permit. All 50 States have adopted the Federal EPA Universal Waste handling regulations and as such Back Thru The Future® has the authority to issue legally valid environmental compliance certificates in all 50 states. In 2011 the State of NJ passed an E-Waste law banning all to-be disposed of electronics from landfills and requiring that they be recycled by an authorized electronic recycling company. Currently 24 other states have passed similar bills requiring the recycling of electronics and that the recycling be done by qualified responsible recyclers. We are 1 of 12 currently authorized electronically recycling facilities in NJ and our status as a Federal EPA registered Universal Waste destination facility qualifies us as a recognized responsible recycler in 24 other states. Back Thru The Future® provides environmentally compliant computer recycling services. We do not resell used computer equipment believing that the resale of a client’s computer equipment represents a potential ongoing environmental liability for the client. In late 2017 Back Thru The Future became certified for the ISO 14001:2015 environmental standard. Qualification is an intense management and administrative effort that requires a significant organizational commitment to a rigorous process and the auditable maintenance of that process. Prior to the development of the ISO 14000:2015 series, organizations voluntarily constructed their own environmental management systems “EMS”s, but this made comparisons of environmental effects between companies difficult; therefore, the universal ISO 14000:2015 series was developed. An EMS is defined by ISO as: “the part of the overall management system, that includes organizational structure, planning activities, responsibilities, practices, procedures, processes, and resources for developing, implementing, achieving, and maintaining the environmental policy. Over 300,000 organizations worldwide are 14001:2015 certified. 14001:2015 along with our ISO 9001:2015 certification provides BTTF with the professional management framework that allows us to stay current with and to properly apply changes in environmental regulations and industry standards to our business services. Prior to 2005, we like all computer recycling businesses, used software overwrite tools to sanitize incoming hard drives prior to reselling them. In 2005 the HIPAA data privacy provisions took effect in the health services industry. Several of our large hospital clients notified us that they would require indemnification from data breach risks associated to our sanitization of hard drives found in their to-be recycled computers. We recognized that software overwrite tools were not 100% reliable and as hard drive capacities grow the process would take longer and longer to perform. We decided that destroying the hard drive was the only 100% safe solution to the indemnification requirement. 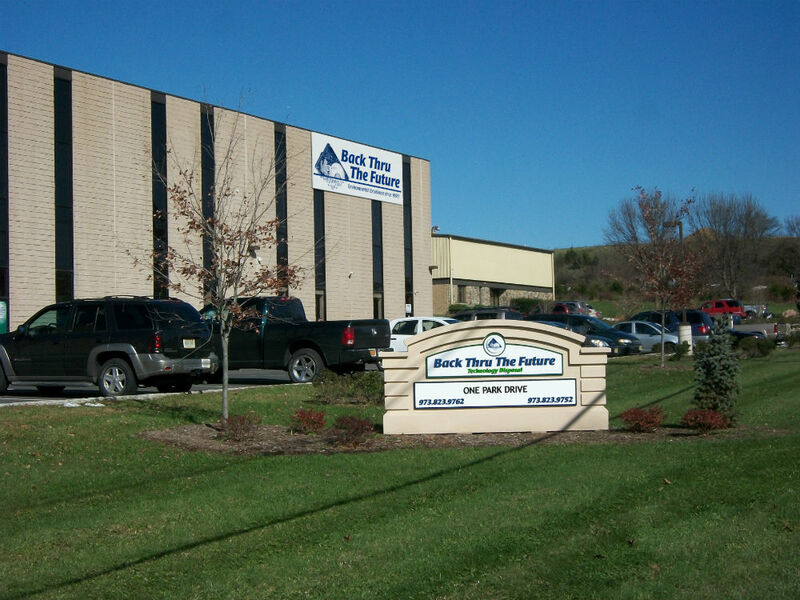 In 2005 Back Thru The Future® became the first company in the US to offer the shredding of hard drives as a stand- alone data security service. In 2006 we became the first electronic recycling company in the US to be certified as a NAID AAA secure hard drive shredding facility. In 2007 the NJ DEP ruled that hard drives as electronic devices could only be shred by NJ DEP Class D permitted facility and that onsite shredding at a customer location was not permitted within the State of NJ. With this restriction in place, we invested in a fleet of vans and portable degaussers that allowed us to provide onsite hard drive sanitization and secure transport back to our plant based shredding operation. In 2012 we championed the support of the NJ DEP to allow an amendment to the Class D permit that would allow onsite shredding of hard drives in NJ. Until 2014 we were the only company in the US that could legally provide onsite hard drive shredding services in NJ. In 2014 two other Class D licensed facilities received the onsite shredding amendment to their permits and in January of 2016 the State of NJ passed a law allowing non NJ DEP licensed shredders to provide onsite hard drive shredding for “data security” purposes. These non-licensed shredders must be NAID AAA certified and must deliver the shredded hard drive material to a Class D licensed facility for recycling and disposal purposes. Because of our strong environmental regulatory status as a hard drive shredder we have established a dominant market position in NJ with over a 70% market share of banks and hospitals. The strict and highly prescriptive data privacy regulations in these two industries have allowed us to evolve a set of specific data asset handling practices that are extremely well documented and meet and exceed the specific industry audit requirements for data destruction. Our initial hard drive shredding equipment was a high capacity four shaft metal shredding machine with input and output conveyors. We recognized that as our volumes grew the shredded hard drive material would represented a potentially valuable source of recoverable value. As with all recyclable material, the purity of the recycled material adds substantial recovery value. Hard drives are made up of four different recyclable materials, aluminum, stainless steel, ferrous metal and circuit boards. The ability to separate these materials into streams of 95% purity would more than double the recoverable value of the shredded material. Over time we have developed a highly efficient and proprietary materials separation process that provides us with a significant additional source of revenue and a major pricing competitive advantage over shredders with no electronic recycling capabilities. With this advantage we have been able to afford the large initial investment for three highly customized onsite hard drive shredding vehicles. These high capacity vehicles provide us with the ability to tackle the largest onsite shred projects in a very time efficient manner as well as provide flexibility for time sensitive projects. These high capacity trucks along with our in house shredding capabilities provide us with the highest hard drive shredding capacity in the industry. Our experience in the legal industry with many large law firms and litigation services firms as clients provided us with the specialized insight to the importance of regularly scheduled data destruction events. Any type of data destruction, including hard drive shredding, can be impacted by litigation and electronic data discovery requirements. From a legal records management viewpoint accumulating business records that can legally be destroyed is a very bad and potentially very expensive practice. Obsolete hard drives represent copies of business records and from a legal records management stand point should be destroyed as soon as possible. In a litigation electronic data discovery scenario, courts require you to implement a “litigation hold” on all relevant data destruction activity. We have a number of large clients with thousands of hard drives in storage because of the litigation hold requirements. Failure to implement a litigation hold can result in court sanctions and even jail. However the Federal Rules of Civil Procedure (FRCP) governing electronic data discovery requirements specifically identify a “safe harbor” data destruction procedure that protects you from court sanctions. If your data destruction activity is part of an automated records retention system you are granted a “safe harbor” exemption. Annual prescheduled hard drive data destruction services qualify for this exemption. With this significant legal advantage of prescheduled destruction activity versus as needed activity, Back Thru The Future® introduced our annual Safe Harbor Express® (SHE) secure data destruction agreement. This is a unique turnkey service providing all regulatory required handling procedures and documentation as well as offering a discounted price for the annual agreement versus project based pricing. We currently have over 100 clients utilizing this service. Back Thru The Future® provides a unique blend of electronic recycling credentials and hard drive shredding experience and capabilities unmatched by any other company in the secure data destruction industry. We believe that secure data destruction services represent an important business partnership and we are a partner that you can trust.